The Spinach Dip mix is our 6th item in our fall MARY’s secret ingredients box. This dip mix is made by a sweet company in Florida, called The Pantry Club. 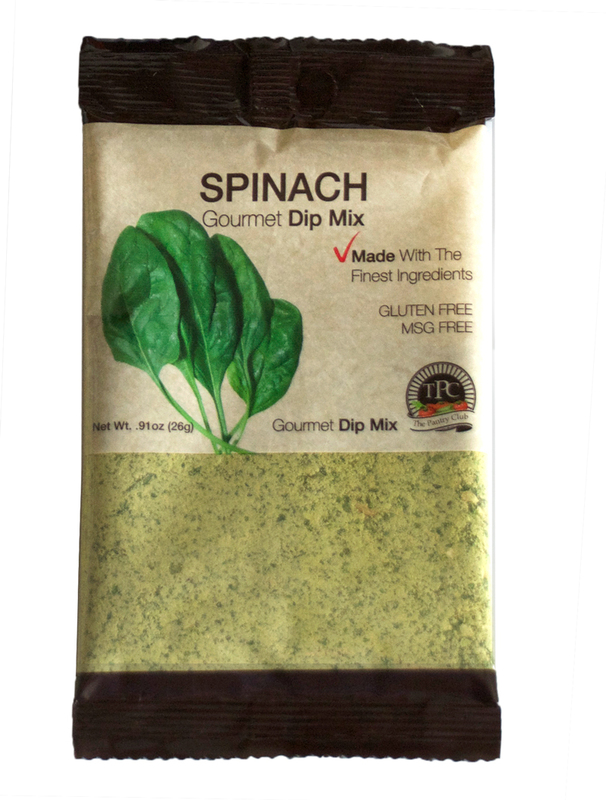 The company was founded by husband and wife team, Alicia and Matt Webb, and while typically I’m not a dry mix user kinda gal, this dip is totally all natural and when rehydrated, tastes just like a fresh spinach mixture. Alicia and Matt have changed my mind about dry mixes. Just smell the fresh goodness coming out of it. And, it’s gluten free! 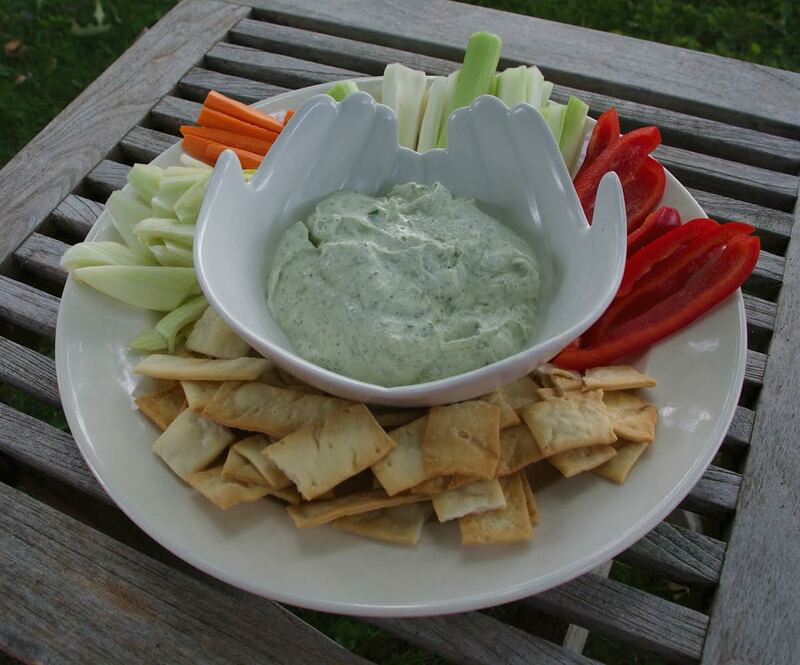 Of course you can make a dip out of it for crudités, crackers or pita chips. They say to make it with sour cream and mayonnaise. I used zero fat unflavored Greek yogurt and added the 2 tablespoons of mayonnaise or you might try adding 2 tablespoons of olive oil as my friend Daina did. It is important to make it ahead of time and refrigerate it for at least 2 hours, as they recommend. 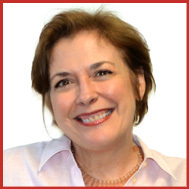 You need that time to let the flavors meld and bloom from their dried state. Alicia and Matt also say you can use the dried dip as a flavoring agent. Perhaps adding it to a vegetable broth with some juices from sautéing skinless boneless chicken breasts would be great. But what I found to be super terrific is to add it to eggs to make the most delicious spinach omelette. Try this with your mix! Heat oven to 350 degrees. Beat eggs and milk with a whisk. Slowly add in the ½ package of Spinach Dip Mix and mix thoroughly to combine. Melt butter in a large skillet over medium high heat. Swirl to completely cover bottom and sides of the pan. Pour in egg mixture. Let sit until the bottom has just cooked. Then transfer the skillet to the oven to let the eggs cook on top for about 5 minutes. 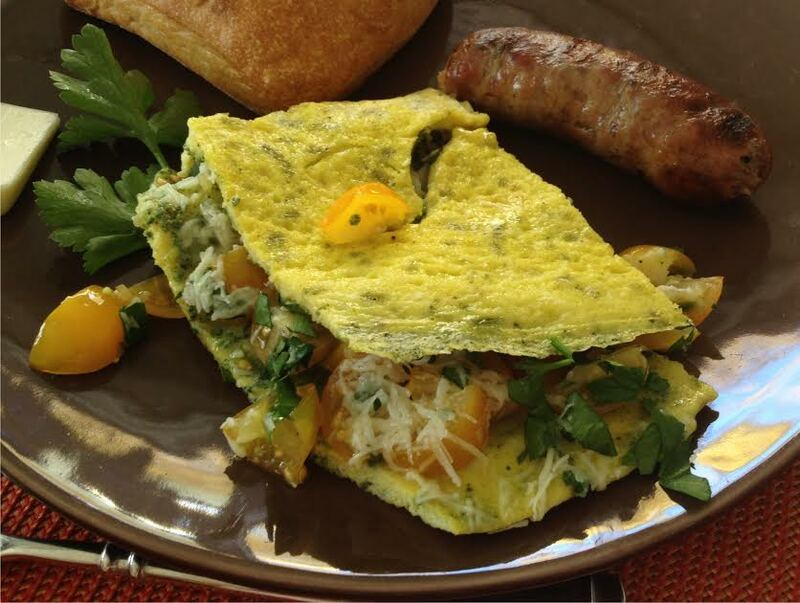 Bring skillet back up to the stovetop (make sure you’ve got a hot pad on the skillet handle) and scatter the tomatoes, parsley and cheese over one-half of the omelette. 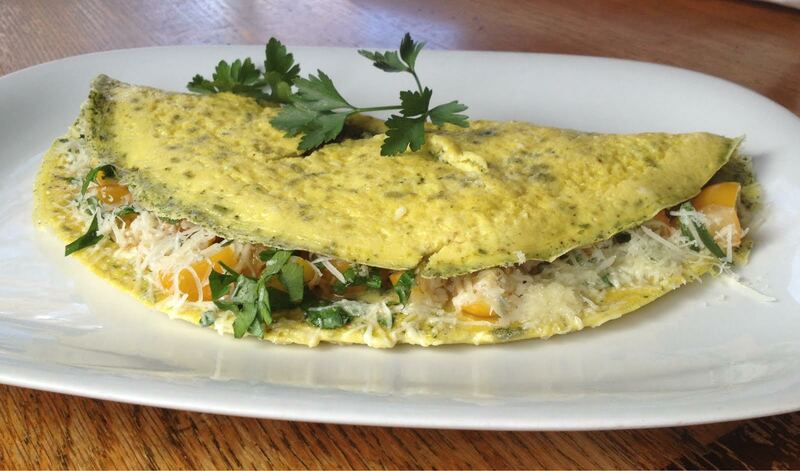 Fold over the remaining egg side on top and let cook until eggs are done to your liking. Or put back in the oven for a minute or two. When done, slide out of the pan and onto a platter. Garnish with parsley and serve with LOVE!